The Center for Advanced Periodontal & Implant Therapy offers IV Vitamin Therapy to aid in enhanced healing after periodontal procedures. Utilizing state-of-the-art technology in their Brentwood office, Dr. Aalam and Dr. Krivitsky administer IV Vitamin Therapy as a holistic healing option. The simple treatment distributes vitamins, minerals, antioxidants and nutrients through an IV line directly into patients’ bloodstreams. The treatment is customized based on patients’ unique needs, where each patient receives an individualized dose of vitamins to best enhance their healing process after a specific procedure. WHY USE IV Vitamin Therapy? IV Vitamin Therapy is a more efficient way to receive the necessary vitamins because of its direct distribution method. As the vitamins are administered into the bloodstream through an IV line, stomach issues including degradation, and gastrointestinal irritation that can occur when consuming high doses of vitamins orally, are completely avoided. 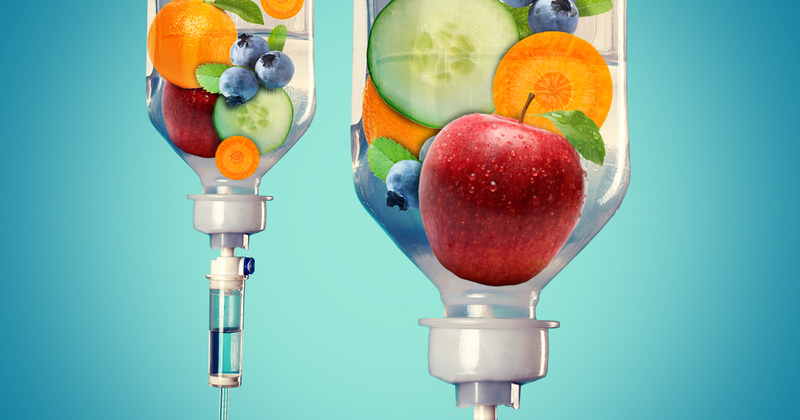 Vitamins and nutrients received through an IV are typically more effective than when taken orally, as they are more easily absorbed by the bloodstream. When taken orally, supplements can diminish during metabolism as they move through the digestive tract. If you are interested in learning more about or receiving IV Vitamin Therapy, contact the CENTER For Advanced Periodontal & Implant Therapy today to schedule a consultation with your experienced Brentwood periodontists.